KIEV, Ukraine -- Ukraine would like to initial the Association Agreement with the EU during the forthcoming Ukraine-EU summit, scheduled for December 19, 2011, in Kiev. 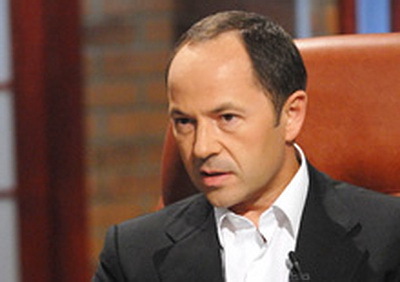 Ukrainian Vice Prime Minister Serhiy Tihipko. Such was the statement by the Vice Prime Minister of Ukraine Serhiy Tihipko made at the conference Inside Ukraine, organized by The Economist in London on December 6, 2011, according to Interfax-Ukraine. The Ukrainian official commented that from the Ukraine's perspective, its membership to the EU remained unclear. "The agreement does not contain clear wording that the Europeans see Ukraine in the EU. I think we can include such wording," said Tihipko. He noted that Ukraine's accession to the Customs Union of Russia, Belarus and Kazakhstan would have been more beneficial in the short term since it could provide for the reduced gas price for Ukraine. Nevertheless, Kiev regards the EU as more beneficial in the medium term. Vice Premier Tihipko explained that the Association Agreement with the EU and the Customs Union - are the two options, which could not exist simultaneously in contrast to Ukraine's free trade area agreements with the CIS and the EU, which are both based on the WTO standards. Notably, Senior Advisor to the Policy Unit of the General Secretariat of the Council of the EU Pirkka Tapiola mentioned that the reserved position of the EU towards recognizing the possible EU membership of Ukraine had been known for some time now. He said that it was the sovereign right of Ukraine to decide whether to integrate with the EU or with the Customs Union. The EU would respectfully accept either choice. Tapiola, however, suggested that having made its choice, Ukraine should maintain the ability to influence the situation and remain an active player. Earlier, European Parliament member Pavel Zalevsky noted that both parties of Ukraine-EU Association Agreement could benefit from the integration of the Ukrainian economy into the European one. On November 14 2011, the European Parliament adopted recommendations for the European Commission and the Council of the EU to initial the Association Agreement with Ukraine. The recommendations by the EU parliament specify that finalizing the Association Agreement would strengthen the rule of law and improve the investment climate in Ukraine. The agreement is also expected to promote European standards and democratic principles.